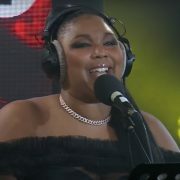 Lizzo is outchea and ready to take over. 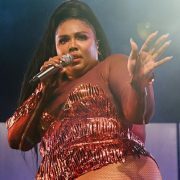 The star just announced this week that her latest album, Cuz I Love You, is set to arrive in stores this April — just in time for her to also kick off a North American tour. That means that she is getting ready to switch into full-on promo mode for the occasion. In fact, she's already started by stopping by The Ellen DeGeneres Show to perform her funky new jam "Juice." 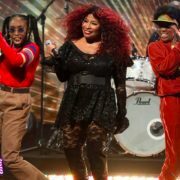 Rocking a reflective fuchsia 'fit, Lizzo came to kill the stage with her dancers as she moved and grooved to the confident tune. She even took the performance to the show's audience and got the crowd involved. 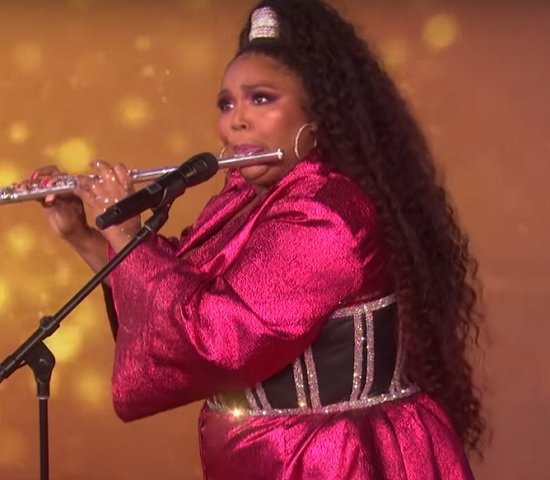 The performance's highlight, though, was when Lizzo brought out her flute to trill along for an impromptu solo that showed that she's doubly gifted in the music department. After doing the most in the best way possible, Lizzo ended the song with a group post so badass even Ellen herself had to get in on it. 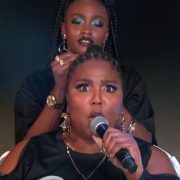 What can we say, we love us some Lizzo. 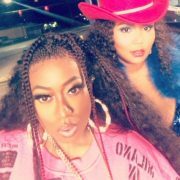 Get into her performance of "Juice" on Ellen below and be on the lookout for Cuz I Love You when it drops on April 19th.